Solid wood playing surface folds into handy carrying case. 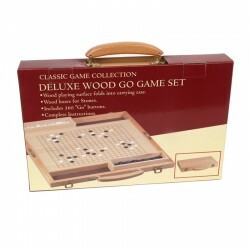 Wood storage boxes and carrying case. 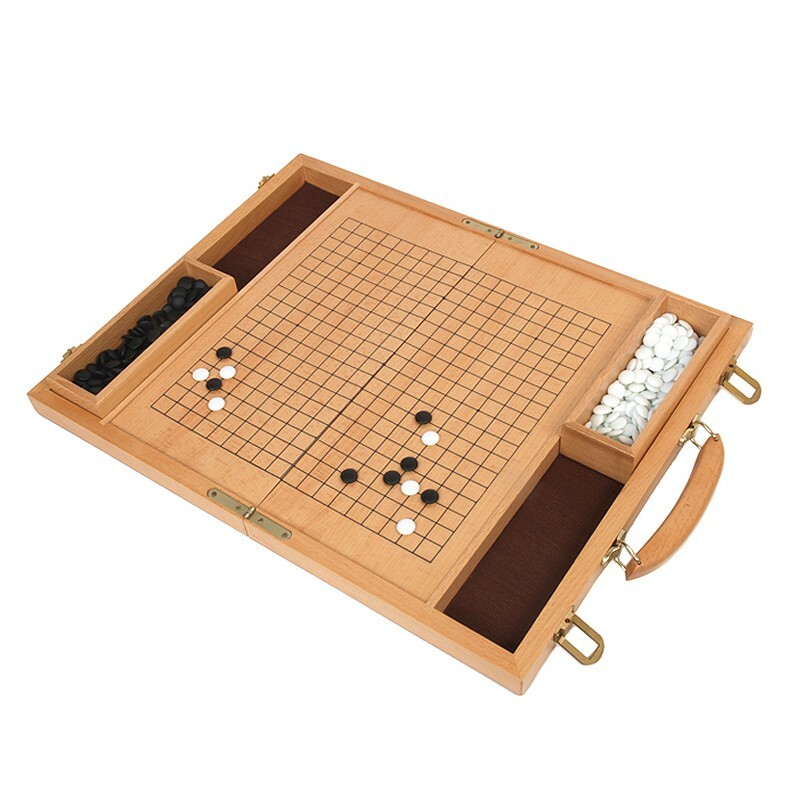 Wood storage boxes hold “Go” stones. 14 ½” x 9 ¼” folded. 18 ½ x 14 ½” open.